Can you navigate a prototype in freehand using hotspots? Liveshare was a great way to watch someone test your prototype. I do not see an equivelant function in freehand. If there is not, what is the best way to observe a user navigating through your prototype with hotspots? Thanks for reaching out to Support! This is indeed a feature we're tracking interest for at the moment. Hi, exactly the same problem. I was using liveshare for user testing purpose and now it's over could you please provide an alternate tool to do that please ? User testing begins in one week. Thanks for reaching out! 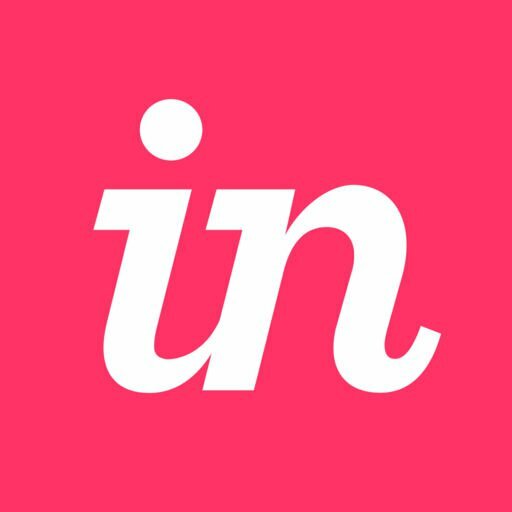 Direct UserTesting integration with InVision was removed on February 26, 2018 and they are actively looking into new ways to better support user research and testing. At this moment, this is how you can share your prototypes, board and Freehands. I think Ennio means his own user testing, and not the old www.usertesting.com integration ;) Like me, he is looking to run his own moderated testing session remotely using invision, which was previously possible with liveshare but now requires screen sharing with skype, hangouts, etc..
That certainly could be the case. Thanks for bringing that to our attention. Ennio - I will make sure that the ticket you have already opened with our Support team is linked up with the same Feature Request Eric has noted here. @Eric You explained perfectly. As a product manager, i want to do live remote user testing in order to get feedbacks about a prorotype without using more than invision tool. For me ,Freehands serve an other purpose since you don't have access to a clickable protype absed on hotspot. Liveshare was perfect ! Of course! The Support team will be able to track your vote for this feature, and keep you in the loop on any updates that may become available. I will also be bringing this up in my next Product Meeting so that our Product Manager is aware of this. Thanks for reaching out! We've recently announced the sunset of Liveshare. For further details & information on this decision & what it means for your workflow, please feel free to read through the related help center announcement here. If you haven't yet had a chance, we recommend giving our newly launched Freehand feature a test drive as we think you're find it a useful too that can adequately succeed Liveshare. The ability to interact with prototypes in Freehand as you were able to with Liveshare is something that our Product team is currently considering adding in the future. Please do let us know if you have any questions or feedback to share with us. And, as always, please don't hesitate to get in touch if you run into any further troubles at all. So sorry that you weren't able to get more answers from our Support team. However, I can assure you that your voice was heard and your vote has been counted for this feature request. We understand that the Freehand option in Leslie's reply is not a replacement for the interactivity you are looking for. However, we do want to make you aware of your options while this feature request is being reviewed. I have made our Product Manager aware of your concerns, and he will be reaching out here shortly. My name is Taylor Pratt and I’m the product manager for prototyping here at InVision, including Liveshare. I’m very sorry for the disruption to your workflow this has caused. Liveshare was a feature that we very much loved and valued, but had grown too big (from an engineering perspective) to move to our new V7 platform given its low usage. 1) Design Reviews (both internal and external teams). Although not a 1:1 replacement, Freehand offered many of the same features that Liveshare did which is why I recommended to our Support team that we should recommend it to our customers. I also know that adding hotspot support is at the top of their todo list, which will make it that much better of a solution for you. 2) Remote user testing. This is exactly the use case you described, Ennio and unfortunately, I have to agree that Freehand isn’t the best alternative for this. In conversations I’ve had with customers, they’ve been using a screen sharing service (such as Join.me, Webex, etc.) in coordination with a share link to conduct the user test. Also not ideal because of the added tool and software download for your tester. We are actively researching a more formal Liveshare replacement in our new v7 platform, and it’s something that I would personally love to deliver to our customers as soon as we can. Once again, sorry for the disruption this has caused you and I appreciate your patience while we work towards this new solution for you! @Taylor thanks for taking the time to reply here and hearing our concerns! Looking forward to the improvements to freehand and the eventual liveshare replacement. Will be worth the wait I am sure. If you're ever looking for a beta tester I'd be happy to help. Hey, just weighing in here to let you know how useful this feature was for design researchers. To my knowledge, it's the only tool out there that can do prototyping & screensharing in one link, and I relied on it heavily for remote moderated testing, and know of other researchers who also did as well. Looking forward to hearing more about what you guys come up with to re-introduce this functionality! I'd love to help beta test too when something goes live. Nick - Thank you for adding you two cents, as well as opening a ticket with our Support team in regards to this issue. I have made our Support team aware of your post here in Community, and they will be keeping you in the loop in regards to this feature request. Once again, if anybody else would like to add their vote for this feature, please contact Support here and voice your opinion! Eric & Nick - I really appreciate the willingness to help us out! We'll keep you posted on our progress, so stay tuned. Thank you for your support!